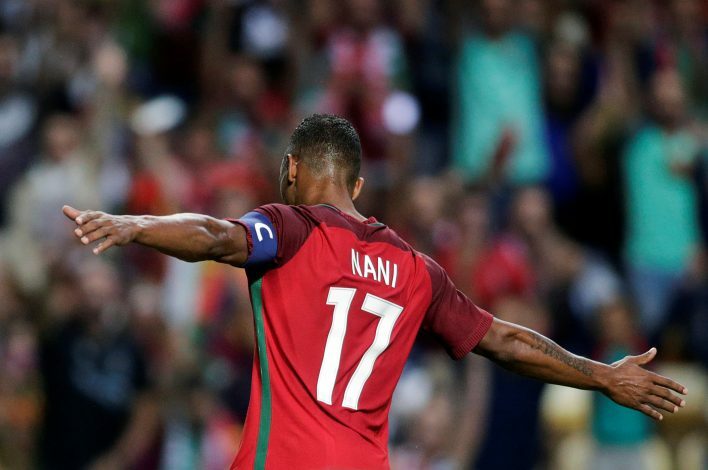 Going back to the big leagues after enjoying some time in Turkey, Nani’s transfer to La Liga side Valencia came while the winger was relishing his status as one of Portugal’s key men on their road to Euro 2016 glory. But before all of this, the Portuguese was Manchester United’s asset for as long as seven years, eventually leaving them back in 2014. Now speaking to Sport/Foot in Belgium, Nani explained how the move to Old Trafford came to him back in 2007, rejecting a lucrative Barcelona offer at the time despite his idol, Luis Figo, having played there, just as ‘Il Fenomeno’ Ronaldo. Nani revealed: “When I became a professional footballer, I’d always had the ambition of wearing the shirt of a world class club, whether it be Chelsea, Real Madrid or Arsenal, but Carlos Queiroz (Manchester United’s assistant manager at the time) was interested in me, and because Cristiano Ronaldo was already a Red Devil, doors opened and I signed in 2007. Over the course of his seven long years at Old Trafford, the Portuguese winger endured a rollercoaster of form, appearing unstoppable one week before completely going down in a game the next. Still, with a record of 40 goals and 73 assists in 230 matches for Manchester United, you cannot deny that Nani played a big part for the club under Sir Alex Ferguson in his own way, even if he never reached the heights of his compatriot Cristiano Ronaldo.